The main UK quality assurance scheme for low-carbon and renewable energy technologies is the DECC-supported Microgeneration Certification Scheme (MCS). It is through MCS that Solar PV systems must be registered in order to be eligible for the FiT generation and export tariffs. Your PV installer should help you with this process. It is therefore essential to ensure that your PV installer/supplier is accredited by an MCS-appointed certification body. MCS-accredited companies must conform to rigorous quality and safety standards and meet Office of Fair Trading (OFT) requirements. They should also offer you a written estimate of the likely energy output of the PV installation. All renewable energy products are examined by certification bodies against MCS manufacturing and testing standards. MCS also have an industry Code of Practice and can investigate complaints on behalf of consumers. Reputable renewable energy installation companies should also be members of Renewable Energy Consumer Code (RECC). Membership of RECC indicates that a company has signed up to its OFT-approved Consumer Code, which ensures high service standards before, during and after the installation of renewable energy technology. Members of RECC will not, for example, employ any ‘hard sell’ sales techniques to induce a quick buying decision. Any sub-contractors engaged by installation companies must also comply with REAL codes of practice. REAL is a subsidiary of the Renewable Energy Association (REA), a not-for-profit trade association which promotes renewable energy technology use, of which ‘The Renewable Energy Hub’ is a member. 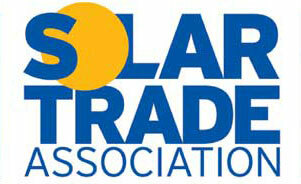 Many UK solar energy manufacturers, suppliers and installers are members of the Solar Trade Association (STA). Affiliated with the REA, the STA works closely with the DECC on many policy areas, including: FiT schemes, planning permission, and installer accreditation.